This time of year always brings out the hurricanes and other natural disasters. I live in New Orleans and had to witness first-hand the devastating effects of Hurricane Katrina in 2005. Last week we had the schools closed for two days due to the potential threat of Tropical Storm Gordon. And currently there are three storms being tracked in the Tropics. All this activity just reminds me that I really need to get my act together when it comes to emergency planning. 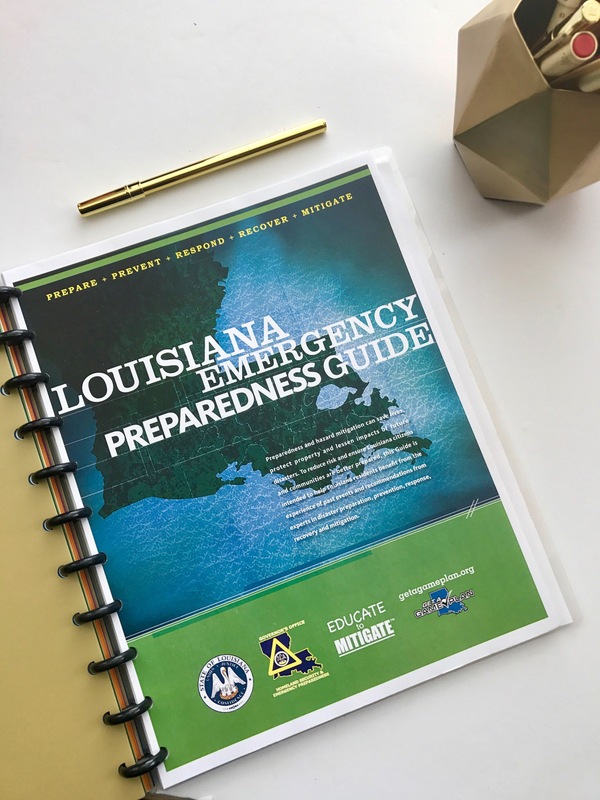 There’s so many facets to emergency planning and you can’t just cover them all in one round. 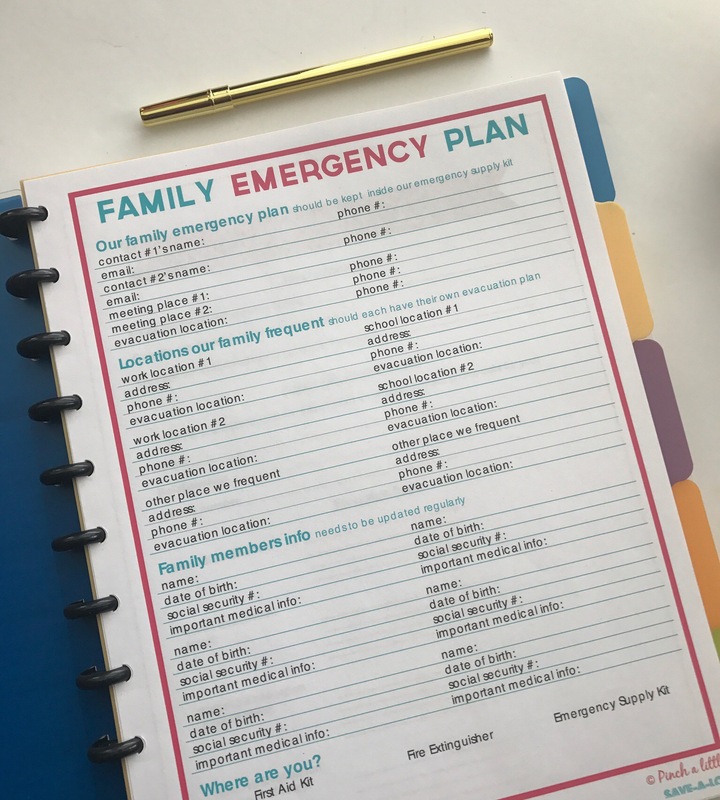 You have to be prepared for home emergencies, vehicle emergencies, emergencies where you need to be prepared to evacuate, and others where you need to be ready to hunker down at home…..
A Family Emergency Plan–Make sure your plan includes a planned evacuation route, choose two people that each family member can contact I the event you are separated. Pick one contact that is in state and one that is out of state. Pick two meet-up places in cash of emergency. Make sure everyone in your family knows your plan, who to contact, and where all the emergency supplies are located. 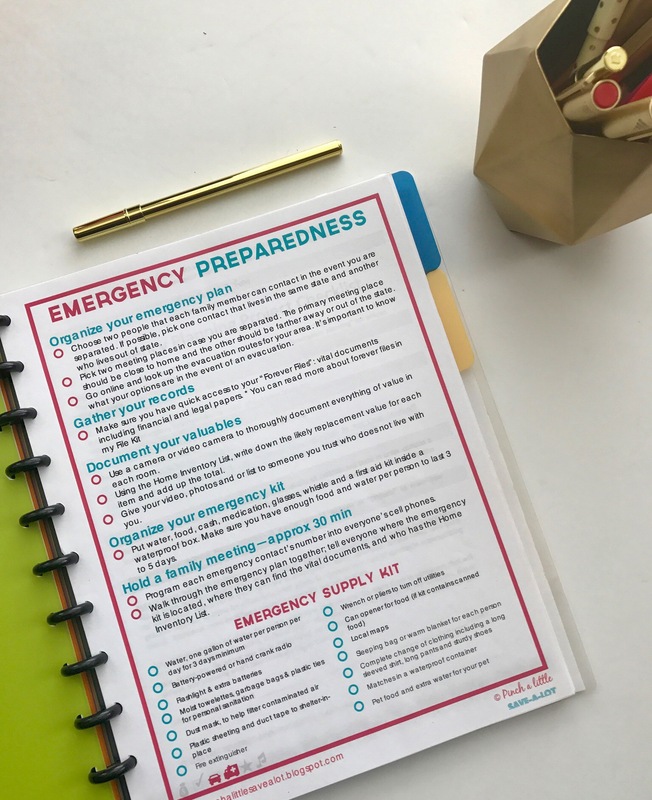 Grab and Go Kit–For my piece of mind I also always want to be ready to leave at a moment’s notice—so having my “grab and go” items ready is essential. Prepare a list of these items ahead of time too. 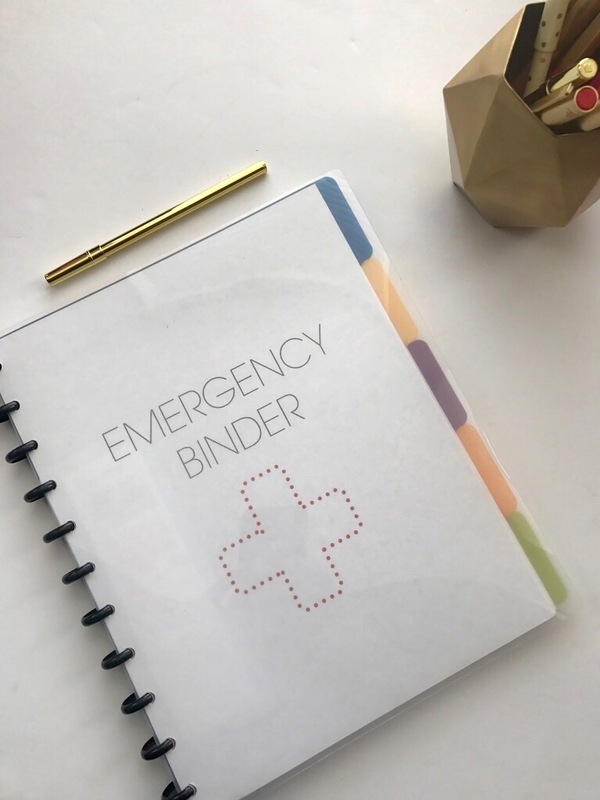 Make sure to include prescriptions, extra keys to your house and vehicle, cash, cell phone chargers, spare glasses/contacts, copies of your financial papers/vital documents file. 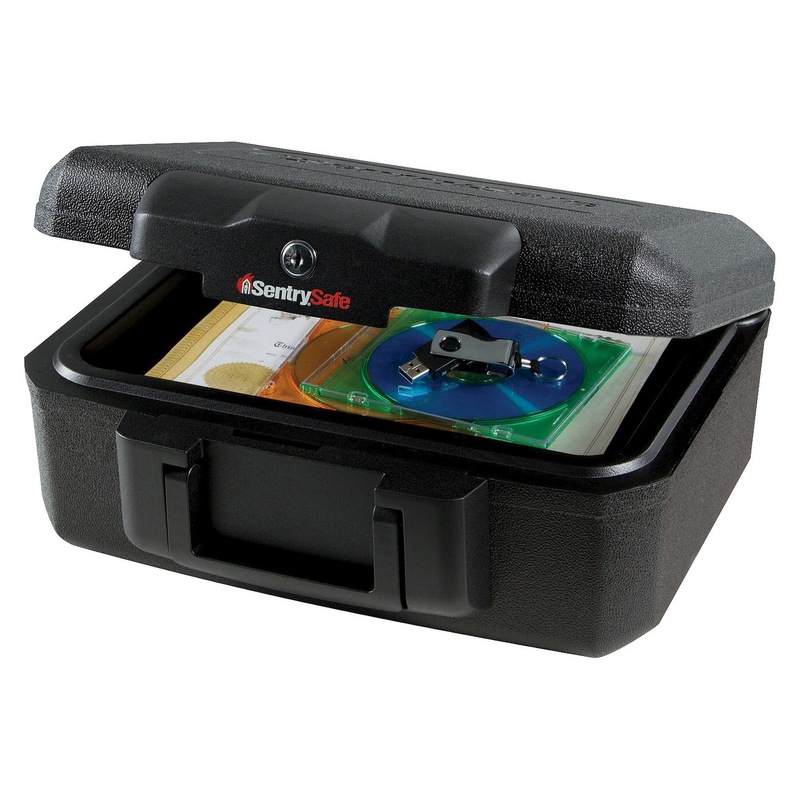 Vital Documents File—For this I use a small fireproof safe that is easy to carry. Our social security cards, passports, immunization records, etc. are all in here safe and sound. Computer & Photo Backups—I back up my entire laptop to an external hard-drive that is kept in our safe-deposit box at the Bank. But in addition to that all my important items are saved online in my Dropbox account. And my iphone is set to automatically sync to this account so I always have my pictures backed-up as well. For pictures not on my phone, I scan those into my dropbox account. I try to keep as much saved online as possible because that eliminates the need to worry about what to bring in case of an evacuation. I can always access my files and documents from anywhere with my Dropbox account. Lights Out Kit—Find a single place to store candles, radios, flashlights, etc. 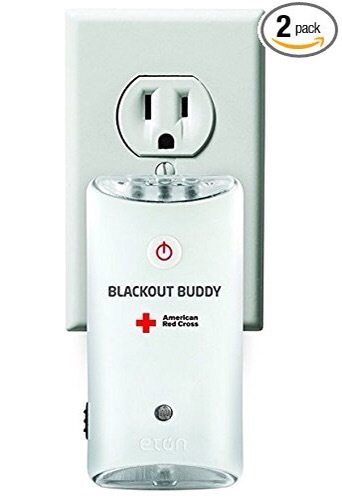 My absolute favorite lights out tool is the backup buddy from the American Red Cross. I have these plugged in a few places throughout my house. Whenever the lights go out, they are already charged and automatically come on. They can also be used as flashlights and nightlights. You can easily buy them on Amazon. 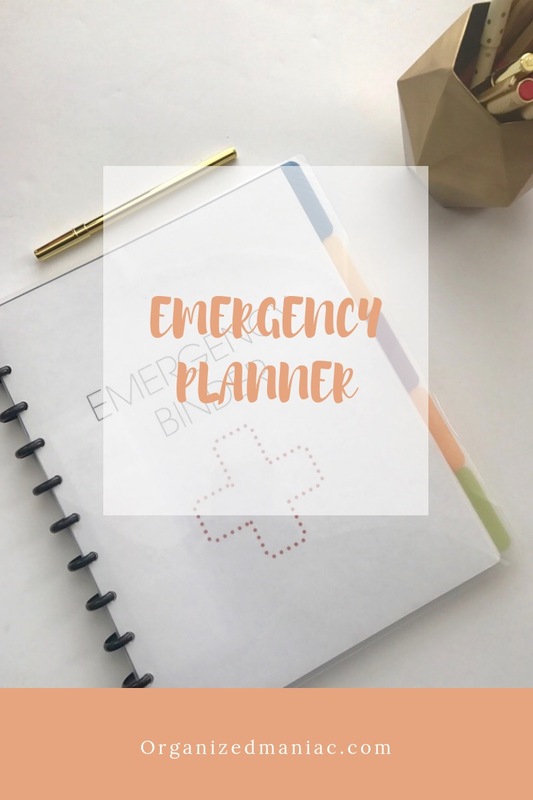 Emergency Planner—Read more about this below. 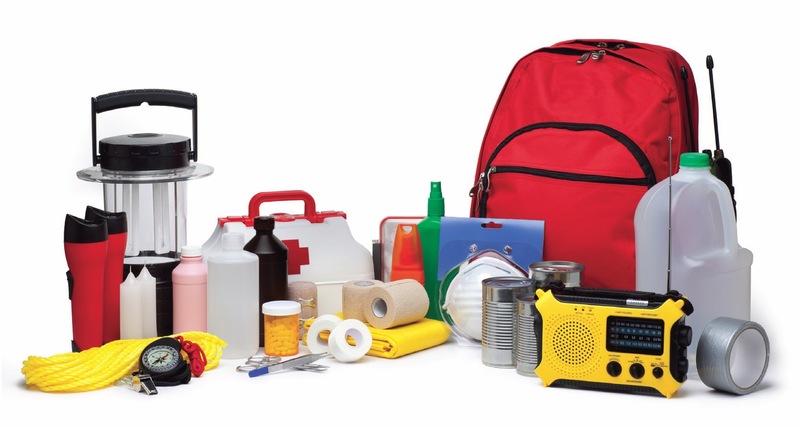 Survival Station—Clear a space designated strictly for ER supplies. How is everyone doing with their emergency planning? I plan to do a follow-up to this post when I have everything completed. If anything, taking care of some of these items provides so much peace of mind. I hope everyone is getting organized before disaster strikes and I’m praying for everyone’s safety during this Hurricane season.